Is 3 words a sentence? The month of May has brought new words, a more stable inside walk and some very in- tune singing. I would be bold enough to describe the recent developments in speech as a flourish of language. Since we last connected Harry has spent many hours walking up and down our 12m corridor on the camping mats, barefoot, to bring his walk from a tilting totter to a proper toddler walk. Without fail everyday he will wander up and down the hall to the front door and back to the kitchen just to gain confidence walking. It is an innate response and I guess that is what it should be with babies so they can evolve. His language has blossomed beyond my recent expectations. I have to say that I had resigned myself to slow progress in this area. A word or two a month has been the standard headway for the last 6-8 months and no one was sneering at this because those sounds he had grasped were significant and meant he fell within the boundary of the “hearing age” bracket we had allocated him. He also distinguishes when he plays with vehicles, the varying sounds they make. The ambulance and police car go “nee nar, nee nar”, the fire engine goes “ee-or, ee-or”, the train goes ” oo- oo”(the ch will come with time). Having the appropriate sounds to go with play is a massive indicator for the Specialists to gauge how he is getting on. 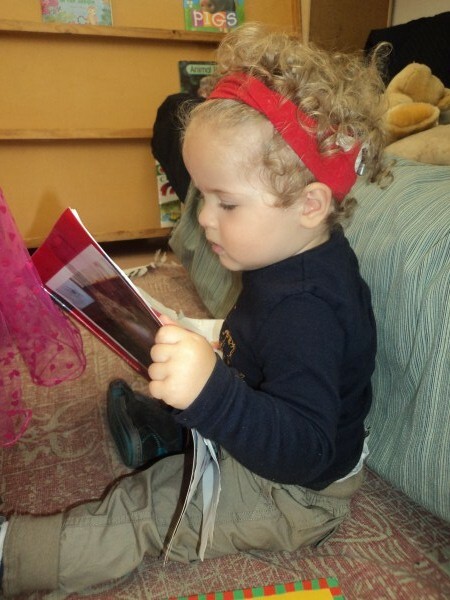 From the speechies and the CIC staff, to the Occupational therapist, they all comment on how appropriate his play sounds are for his real age. I am basking in this praise- it is music to my ears. In our Speech lesson last week, Beth introduced Harry to an on-line karaoke website. You might well imagine how a toddler who can’t stand yet would benefit from a karaoke session. I think it was a shame there was no microphone or disco ball above us to bring the atmosphere into the room, nevertheless we started a journey on the Raising Children’s website (a Gov’t site) and fell in love with their version of Old MacDonald, Row, Row your boat and Open, Shut them, to name only a few nursery rhymes. The beauty of this site is that the words are sung slowly and in a great Aussie country drawl. Most are accompanied by a video with animated characters that do the actions for the songs clearly. I am conscious of Harry not spending all day on this as no toddler can cope with over exposure to electronics. Those telling signs that the I- device has expired as a babysitter when you try to graciously pull the item away from their inquisitive little hands and they tighten their grip into a vice around it. And scream! to anything that is overtly visual. This includes TV, and other visual electronic devices. There is a very fine line between him using them to learn and them burning him out with their visual references. It was only yesterday that we were sitting in the kitchen reading to Harry as he had dinner (as it is often the time we do it to distract him enough to eat). The girls were chipping in with their 2 cents worth of Old McDonald when suddenly I heard an “ All day long” that was nearly so clear that I thought it came from Alice. In perfect response Tess grabbed the hone and tried to get him to repeat it. Check out the video and see what you think, but in our books that is a 3 word sentence and we are ecstatic! 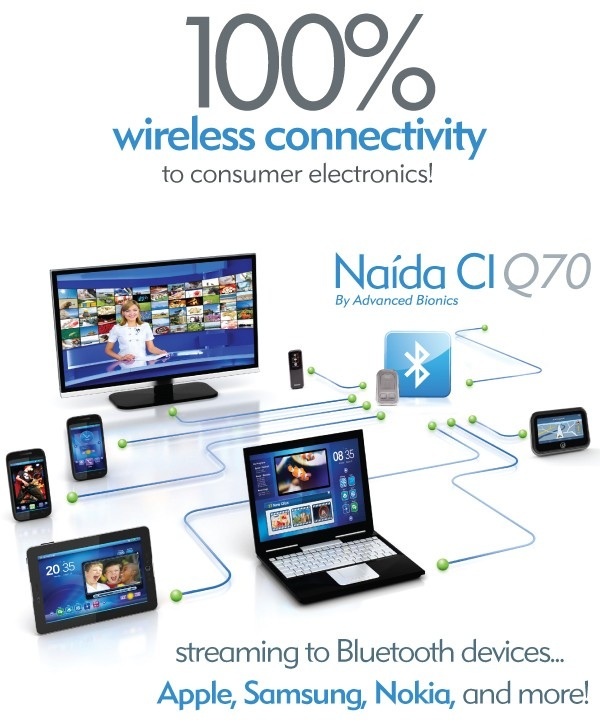 In the UK, your NHS audiology clinic will decide whether they can afford to stock the Naída CI Q70. Some hospitals are offering a free upgrade immediately, some are offering upgrades after 5 years (or longer), some are unable to offer this processor. Check with your audiologist for further information.